This is the remaster I have waited nearly forty years for. 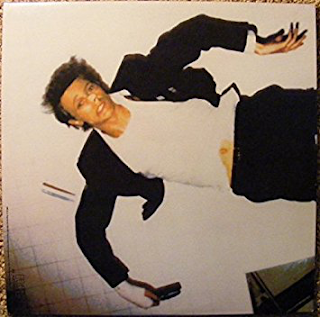 "Lodger", originally released in 1979, has always, in my opinion, suffered from appalling sound. The original RCA release was unlistenable and the 1990 EMI/RYKO not much better with a muffled sound that led one to think the album was just badly recorded in the first place, something that was substantiated with the 1999 release which offered little improvement. Others in that batch were more than acceptable, yet "Lodger" was always dreadful. Some people have complained about various faults, a few seconds lost here and there etc. It those things matter to them then fair enough, they will not enjoy this release. If you want to experience this interesting album with a far fuller, bassier, richer sound and discover things in it that you didn't know were there - some of the odd sounds in "African Night Flight" for example, then this is for you. "Compression"? You know what - I don't even know what it is. Neither do I care. I just know this version of "Lodger" is the best I have ever heard it. The guitar on "Move On" is vastly clearer, as is the intro to "Yassassin". "Red Sails" has a whole lot more going on. The bass on "Boys Keep Swinging" and on "Repetition" is far more punchy. Great. 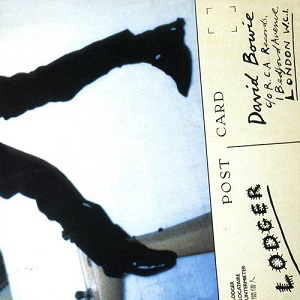 I find myself enjoying listening to "Lodger" far more than I ever did. I used to always feel frustrated when listening to it - wanting to improve it. Now I don't need to feel that way. Regarding the songs themselves, there are some genuinely odd and intoxicating songs on here - the opener, "Fantastic Voyage" is a musically attractive song featuring mandolin and some intriguing lyrics. Of course, "African Night Flight" is a strange song, but is has a captivating appeal and the middle-Eastern tones of "Yassassin" make for an a most interesting song, something Bowie had not really experimented with before. Then there are the Buddy Holly stylings of “Move On”, the “new romantic” (before the term had been invented) chorus of “Red Sails”, with its bizarre "hinterland, the hinterland" lyric, the anthemic “Look Back In Anger” and the creepy, disturbing “Repetition”. The hit singles "DJ" and "Boys Keep Swinging" are both upbeat, commercially direct songs, if not quite the "Bowie classics" of some other hits. The Tony Visconti remix to be found on the "A New Career In A New Town" box set is a thing of beauty. Gives yet another dimension to this interesting album.